Your bridesmaids are a super special group of people. They are there with you through the planning process, they help plan trips and parties and stand up beside you on the biggest day of your life. They are important! They put a lot of time and effort into your day so it is only natural that you want to say “thank you” the best way you can. Bridal party gifts are not necessary but they are customary and they are the perfect way to show how much you appreciate your girls. Your bridesmaids will appreciate any gift you give them, but there are a few ways you can give to your girls that they will be sure to love! Keep reading to find out a few of our favorite simple gift ideas. Traditionally each bridesmaid will purchase their own dress, shoes and accessories for the wedding day. A sweet way to show her your appreciation would be to pay for one of these items or a portion of an item. You could also pay for her day-of hair or make-up! One classic gift that everyone loves is jewelry! You could purchase something for your girls to wear the day of the wedding and let them keep it or you could buy them a piece of jewelry that reflects their individual style as a way of showing your thanks. Sticking with something simple and quality is a wonderful way to please everyone. One brand we love is Kendra Scott. Her pieces are unique and great quality! Giving each bridesmaid a small gift bag with some of their favorite things is a sweet way to show your appreciation. You could include a candle, a personalized mug or tumbler, their favorite candy, or any other trinkets they may like. If you are on a tight budget this is a great way to give them something but not over spend. This may seem little or insignificant, but taking some time in the weeks before your big day to sit and write a sweet letter thanking your girls will go such a long way. Explain to them just how much they mean to you how much you appreciate everything they have done for you. You can couple this with a gift card or add it to any other gift to really show her how much she means to you. Your bridesmaids will appreciate any gift you give them! 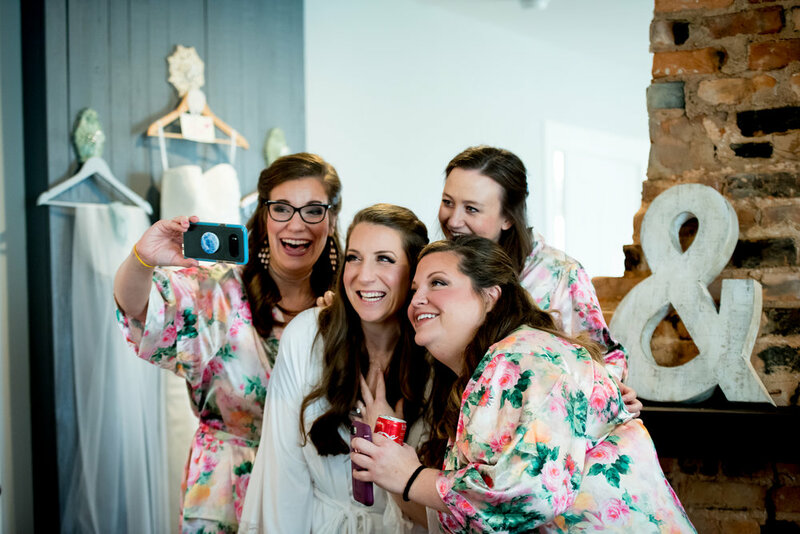 If you want to make sure it is something they will love and actually use it is important to keep in mind that they are more than just bridesmaids. Consider using their name to personalize things rather than “bridesmaid” or your wedding date. There is nothing wrong with a cup or bag that says “bridesmaid” but some people will be less likely to use these items after your wedding is over. When gifting your girls just remember they will love anything you give them! Keep it simple and don’t over think it. Your girls love you and are so happy to share this important day by your side. Let us know below what you are gifting your bridesmaids!